Online shopping is mushrooming. Good news! 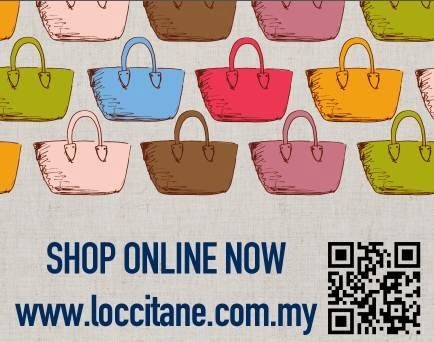 Hey now you can buy L’Occitane products online through L’Occitane Malaysia Website. There are many benefits and conveniences when you shop online. These are L’Occitane Malaysia Online Shopping promotions and online exclusives for a limited time only. · Free Shipping with any purchase except soap (until 30th April only. On first May onwards, free shipping is only offered for purchases above Rm200). Standard charges apply for purchases below RM200.